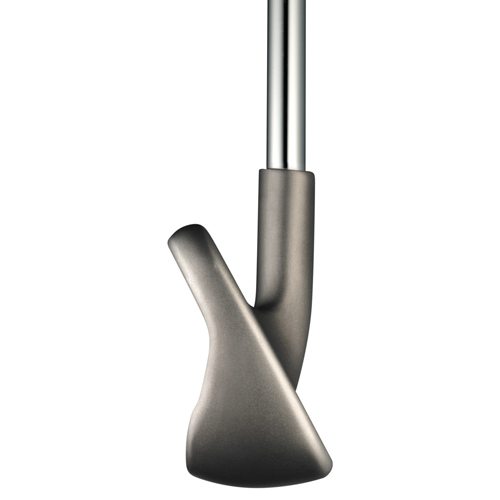 Distance, forgiveness and high launch enable you to launch the ball farther and higher so you can attack the pin. Progressive lengths and lofts and a thin face are key to achieving a higher max ball flight to give you the stopping power needed for scoring. 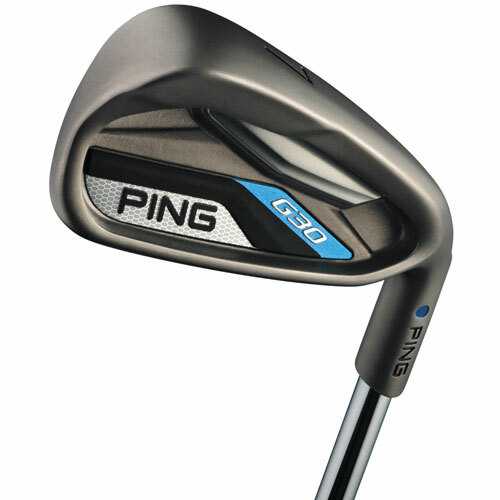 Distance control and consistent, predictable results are provided by a custom tuning port that sits very low and supports a thin face to generate faster ball speeds. The CTP and an undercut cavity help position the CG low-back to optimize launch and forgiveness while ensuring a solid feel to inspire confidence. With distance also comes forgiveness and accuracy. 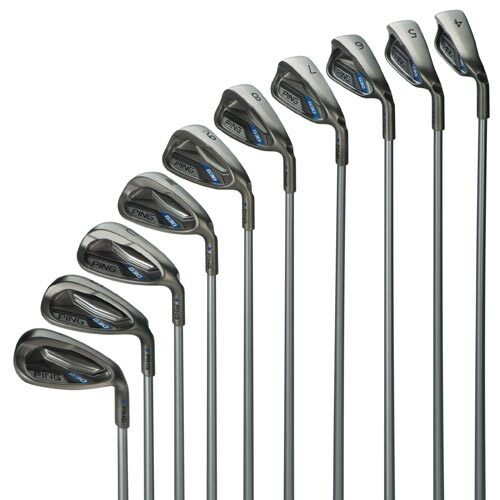 Slightly longer blade lengths help to increase MOI, most noticeably in the 4 through 7 iron. Progressive offset generates higher ball flights in the longer irons and penetrating, controlled trajectories with the scoring clubs. 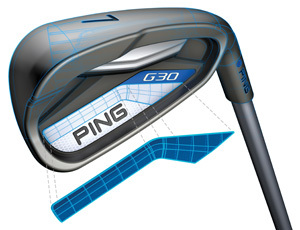 Another advantage is a sole design optimized to promote solid contact with consistent trajectories. To improve turf interaction, relief was added to the lead and trailing edges, and bounce was refined to perform with any angle of attack. A soft elastomer badge further contributes to improved feel and sound in the perimeter-weighted design. • PROGRESSIVE LENGTHS/STRONGER LOFTS: Increases distance (approx. 3-7 yards). 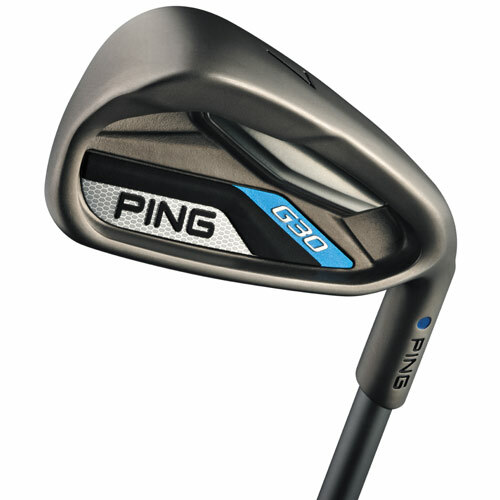 • LONGER BLADE LENGTH: Expands perimeter weighting and increases MOI, higher launch. 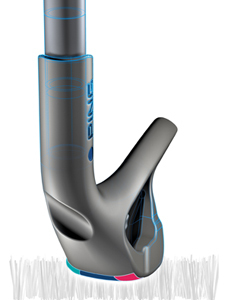 • UNDERCUT CAVITY: Lowers CG for improved launch, increases forgiveness. 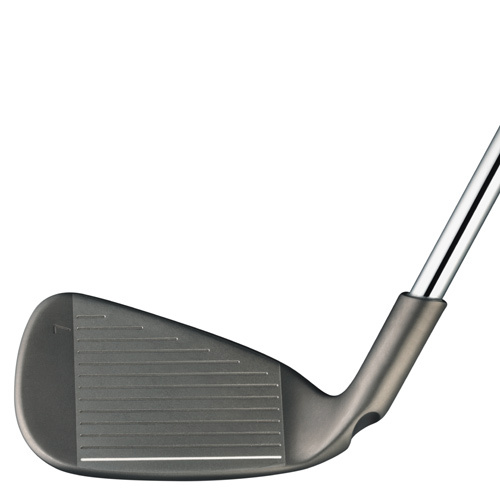 • LOWER CTP: Provides face support for more consistent distance control, more solid feel. 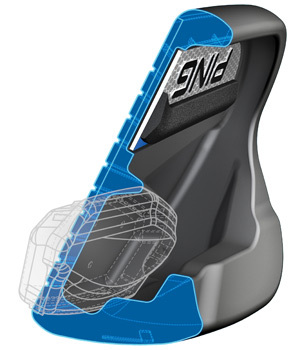 • ENHANCED SOLE DESIGN:Improves turf interaction, ensures consistent trajectories. • ELASTOMER CAVITY BADGE: Enhances sound and feel.